After decades of struggle from communities across the world, the idea of corporations being held legally responsible for their crimes no matter where they may occur is finally becoming a reality. 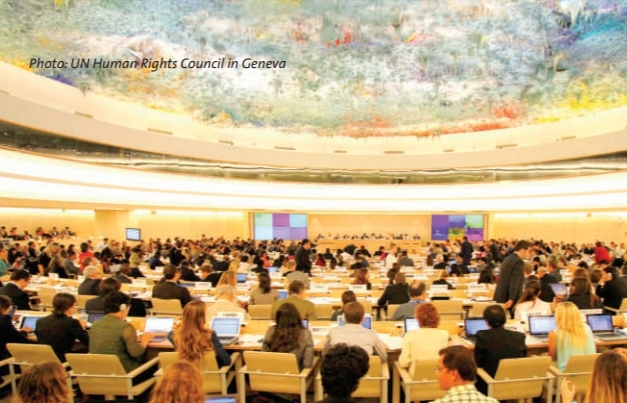 In 2014 the United Nations Human Rights Council adopted Resolution 26/9 which established a new Intergovernmental Working Group (IGWG) to develop an international legally binding instrument to regulate transnational corporations and other companies with respect to human rights. The new Human Rights Treaty has the support of more than 800 organizations, the UN Human Rights council, the Vatican and many diverse governments including South Africa, Indonesia, India, China and Ecuador. To date there have been three sessions of the Intergovernmental Working Group, which have been dedicated to exploring the possible content, scope and general character of the proposed instrument. Despite limited input from the Australian government the 3rd session of the Intergovernmental Working Group (IGWG) on a UN treaty on transnational corporations and human rights concluded positively after substantive discussions on content, impressive and diverse participation of social movements and a record presence of 101 member states. Sign and share the Treaty Alliance Statement 2017 (in 7 languages). Let’s show that thousands worldwide support a #BindingTreaty to #StopCorporateAbuse!